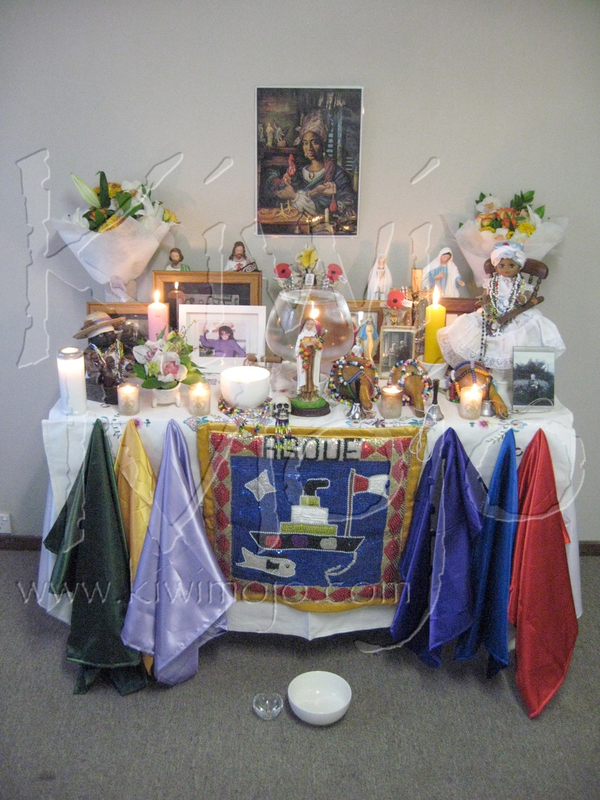 Images from our ancestor workshop, held in Otaki, New Zealand. 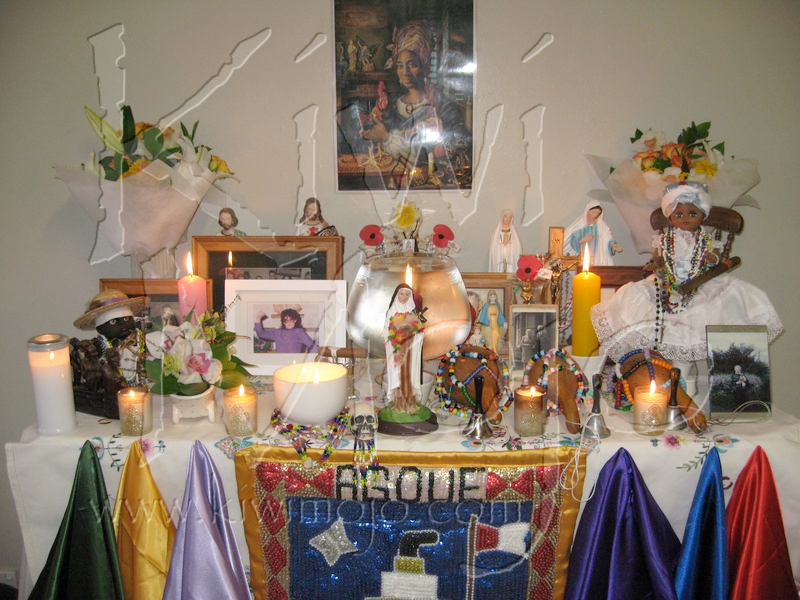 A closer view of the ancestor table, white table or boveda. 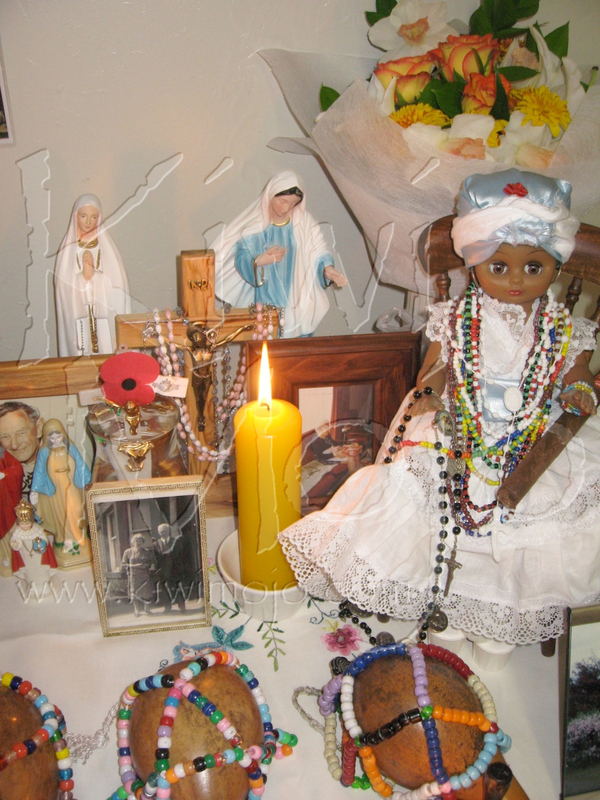 You can see some of the sacred items, including the ancestral doll which holds the Spirit of one of our own ancestors, the statue of St. Teresa, who represents the Oricha Oya, the guardian of the cemetery gate, and the sequined flag (caled a drapo) of Met Agwe Tayowo who carried the slaves through the middle passage, and in whose waters many ancestors have found their final rest. 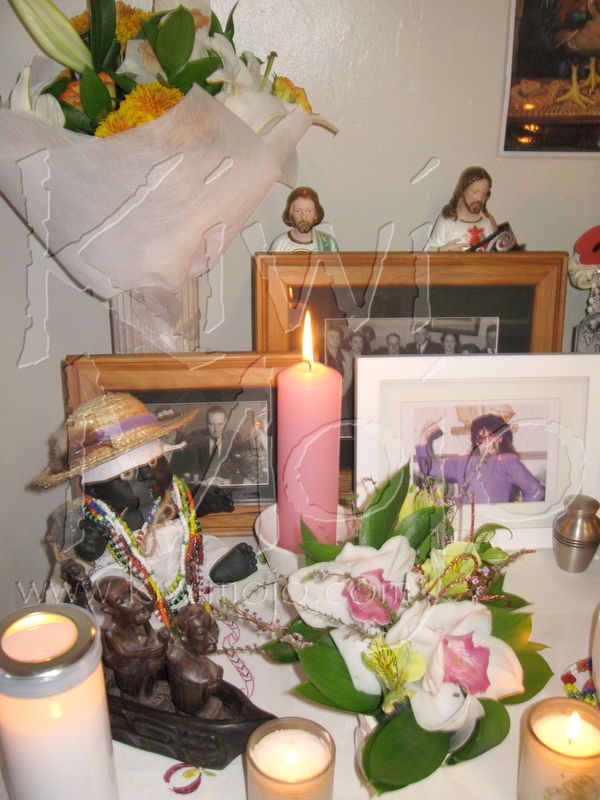 Our second ancestor doll, Jack, also contains the spirit of the ancestors. 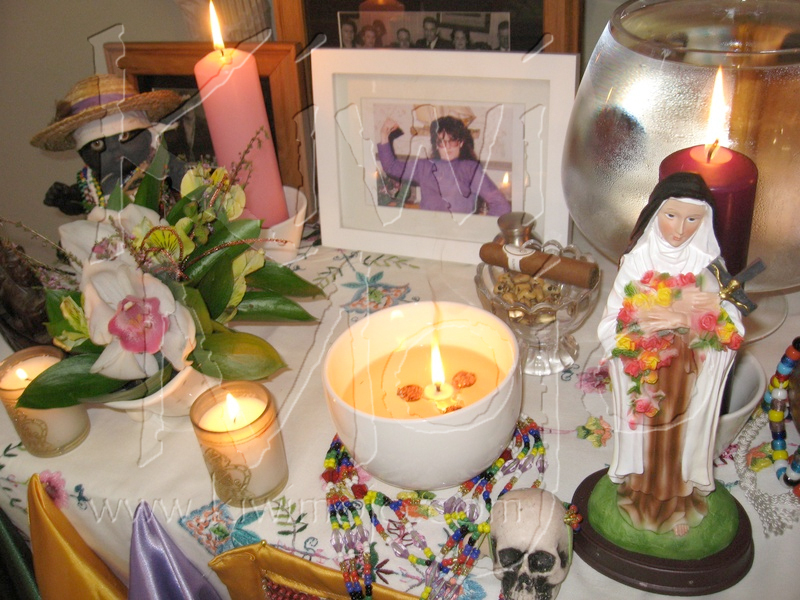 Surrounded by photographs of the dearly departed and the orchids that my own grandmother loved so dearly, this altar is a true reflection of the ancestral Spirits. The collar de mort, the sacred necklace of the dead is wrapped around the base of the lamp, and the skull sits at the feet of the Queen of the cemetery. The Spirits require water to move through, and the water in this goblet served as a source of light and illumination for all the ancestral Spirits that attended the workshop. 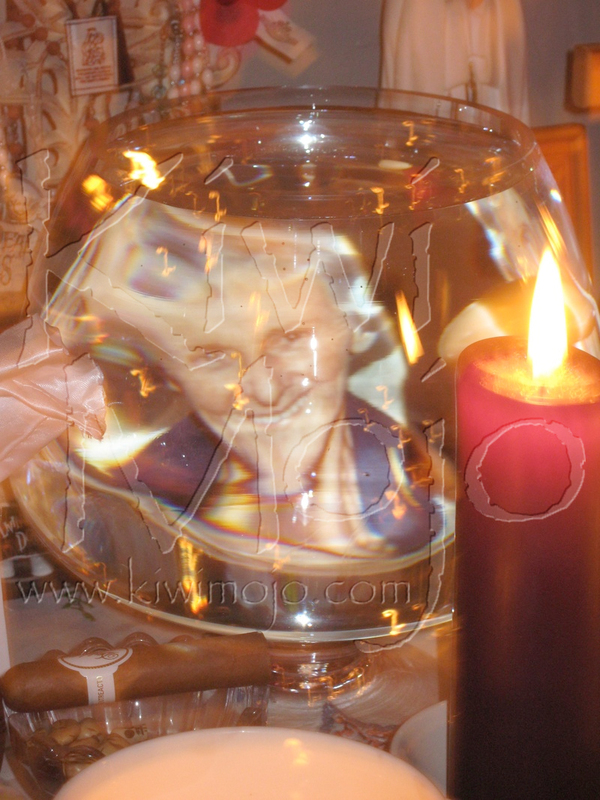 Through this glass you see the image of my grandmother, whose musical ability is reflected in the musical notes made from light which dance around her face. 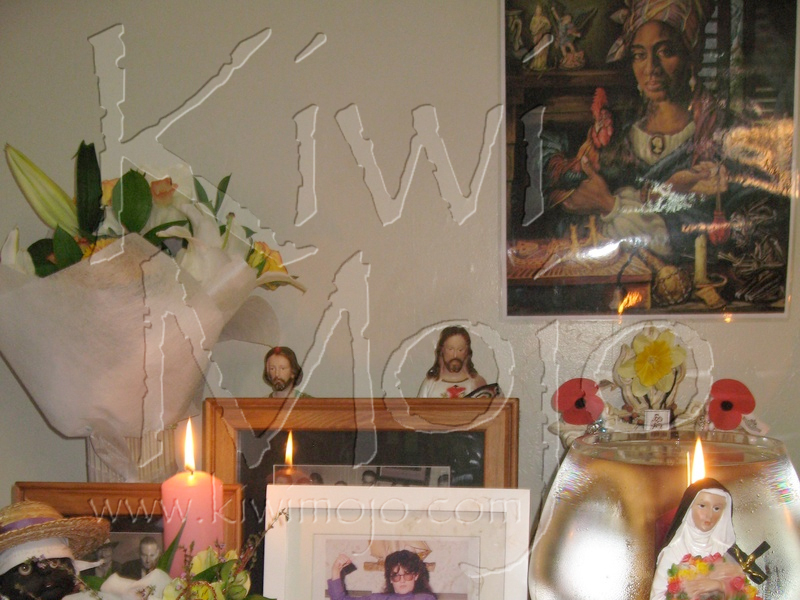 The various participants that attended the ancestor workshop, held in Otaki, New Zealand.